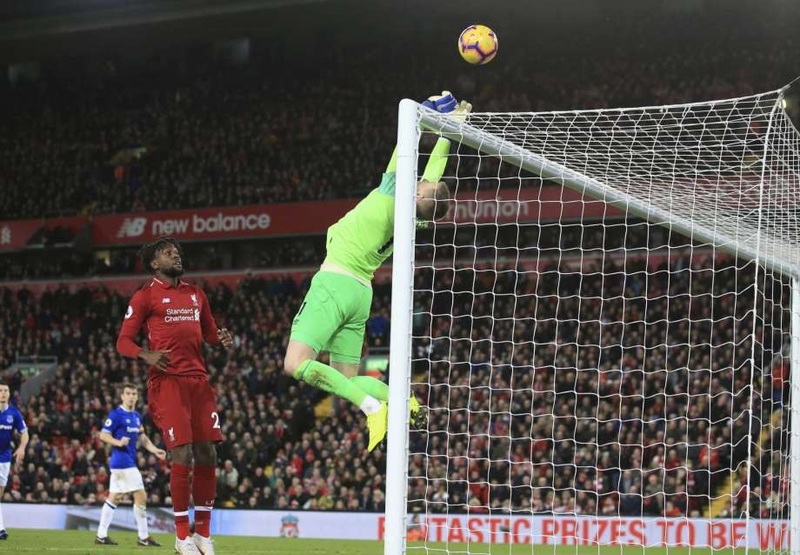 A tense and hard-fought Merseyside derby looked destined to finish in a goalless stalemate Sunday after Van Dijk skied a speculative, mishit shot high into the air - and seemingly out of play - in the sixth minute of injury time; then came the most dramatic ending imaginable. “For me, the situation was finished when the ball left (Van Dijk's) foot,” Liverpool manager Juergen Klopp said, scratching his head. Tottenham replied with two goals in four minutes - from Eric Dier and then Harry Kane from the spot - for a 2-1 halftime lead. Dier celebrated his equalizer by making a shush gesture in front of Arsenal fans and it prompted a scuffle between both sets of players, with substitutes also getting involved in the squabble. It was typical scavenging work by Kante, who was called out publicly in midweek by his coach Maurizio Sarri for his poor performance in Chelsea's 3-1 loss to Tottenham last weekend. Kante - arguably the world's best defensive midfielder - is playing further forward for Chelsea this season to accommodate Jorginho, a deep-lying midfield playmaker signed in the offseason.